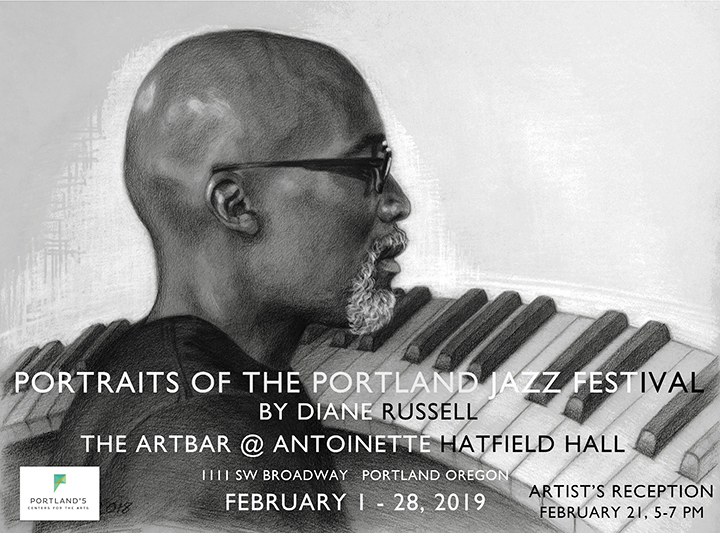 Coinciding with the 2019 Portland Jazz Festival, Portraits Of The Portland Jazz Festival, portrait paintings and drawings by Portland artist Diane Russell, will be on display February 1–28 at the Art Bar in Antoinette Hatfield Hall. The solo exhibit will feature Diane’s portraits of jazz & blues musicians who have appeared at the Portland Jazz Festival, including Esperanza Spalding, Dr. Lonnie Smith, Bobby Hutcherson, McCoy Tyner, Glen Moore, Nancy King, Thara Memory, Mel Brown, and this year’s jazz master Darrell Grant. Diane Russell is a Portland artist specializing in portraiture in oil and charcoal. 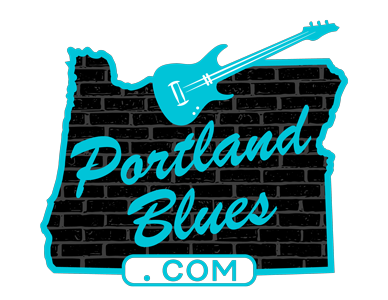 Her commissions include the 2017 Portland Rose Festival Queen, the October 2013 Legendary Blues Cruise poster, the 2007 Legendary Blues Cruise poster, the 2005 WC Handy Awards poster, Northwest Gospel Project’s CD “Heavenly Brother”, and Linda Hornbuckle’s CD “Clearly”. Her works were also featured in Jimmy Mak’s jazz club until the closing of the club in December 2016. The Art Bar in Antoinette Hatfield Hall, 1111 SW Broadway, Portland OR. The artist reception is Thursday, February 21 from 5:00 — 7:00 pm.